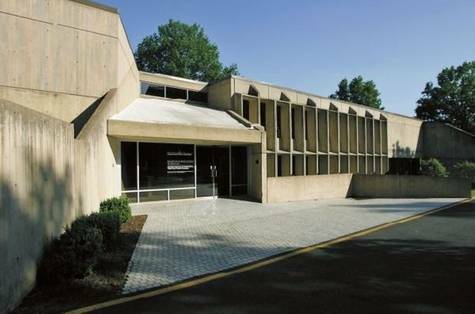 Another Brutalist building by noted architect Marcel Breuer is threatened with demolition, this time in Reston, Virginia. The endangered building is the former American Press Institute (API) headquarters, located on a four acre site at 11690 Sunrise Valley Drive. It’s Breuer’s only structure in the commonwealth of Virginia. 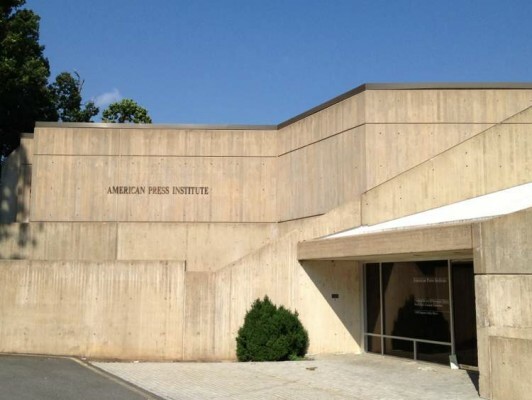 Opened in 1974, it has been a place where newspaper publishers and editors attended meetings held by the non-profit API, founded in 1946. 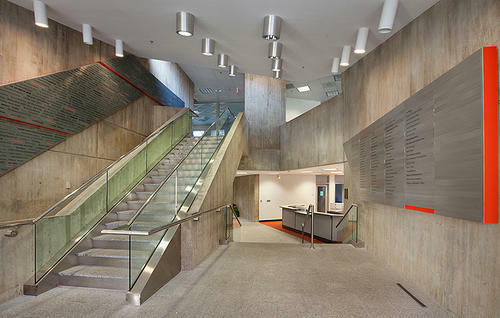 The $3 million, 48,000-square-foot building was constructed in the part of Reston that was reserved for non profit organizations, and its design is an example of Breuer’s sculptural use of precast concrete panels. It was the first building in the then-new town of Reston to be designed by an internationally prominent architect. The API closed in Reston in 2012 after merging with the Newspaper Association of America. Now a private developer controls the building and wants to raze it to make way for residential development. The Fairfax County Planning Commission is scheduled to meet on June 16 to consider the developer’s application to rezone the land and obtain a demolition permit. If the planning commission and the county’s Board of Supervisors approve the plan, the building will be razed so single- and multi-family housing can be built on the site. An online petition has been created at ipetitions.com, asking county leaders to save the Breuer building. A coalition of architectural and history experts, both local and national, has questioned the demolition plan. The group includes the Fairfax County Architectural Review Board; the Fairfax County History Commission; the Commonwealth of Virginia Department of Historic Resources; residents of Reston and other parts of Fairfax County; architects; historians; preservationists; journalists who have participated in programs at the building, and people who have worked in the building. Some preservation advocates say the building would be ideal for conversion to a regional library and that the county has money in its budget to do that. “The more brutalist reminders of Reston’s awesome concrete past, the better,” says the writer of the Restonian blog. Others say it reflects the vision of Reston developer Robert Simon, who aims to encourage construction of architecturally significant buildings in his planned community. Despite those and other warnings, staffers for the county’s planning commission have recommended approval of the rezoning application and demolition permit. As of today, the petition to save the Breuer building has more than 1,300 signatures, including signers from Europe and South America. An architect and furniture designer who worked at the Bauhaus in Dessua, Germany, and received the AIA Gold Medal in 1968, Breuer was born in Hungary in 1902 and died in New York in 1981. Breuer designed the 1966 Whitney Museum of American Art on Madison Avenue in New York City, which was recently converted to the Met Breuer, a satellite for the Metropolitan Museum of Art, with Beyer Blinder Belle guiding the conversion. 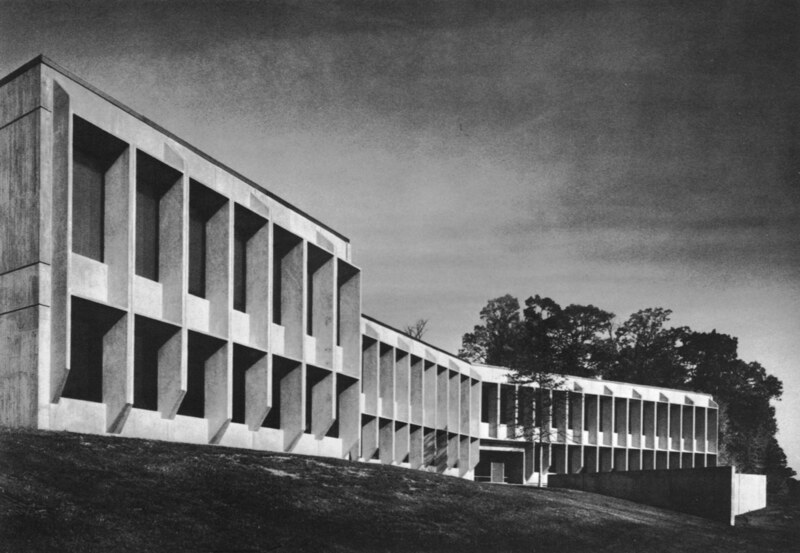 Breuer also designed the UNESCO Headquarters in Paris, the Department of Housing and Urban Development headquarters in Washington, D. C. , and, while he was head of the cabinet making workshop at the Bauhaus, the Wassily chair. The Virginia building is one of several Breuer structures in the United States that are facing an uncertain future. In New Haven, Connecticut, his 1970 Pirelli Tire Building is vacant and its base has been modified. In Atlanta, Georgia, public officials are considering construction of a new library to replace Breuer’s 1980 Central Library and Library System Headquarters building at One Margaret Mitchell Square NW. Preservationists there have been circulating a petition asking the Fulton Public Library Board to save the building and rename it after Breuer.